As part of the Animal Kingdom, I continue to explore songs about animals and this time we'll search for some songs about the Raven. The Raven is one of several members of Corvus family. We can find it mainly in Europe and North America by recognising its black plumage and large beaks. The Raven is often associated with death and bad luck but it seems that it has no special different in compression to other meat-eating birds. 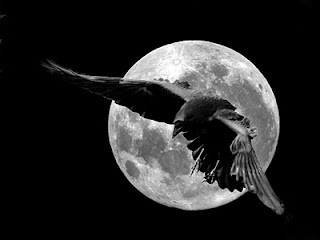 Out of a lot of Metal songs written about ravens, I've found five more conventional songs by Jewel, Steven Wilson, Rebecca Pidgeon, Of The Wand And The Moon and Scorpions.